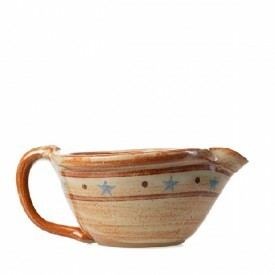 Beautiful stoneware handmade in Texas by Luling Icehouse Pottery. This custom design features a blue star pattern. 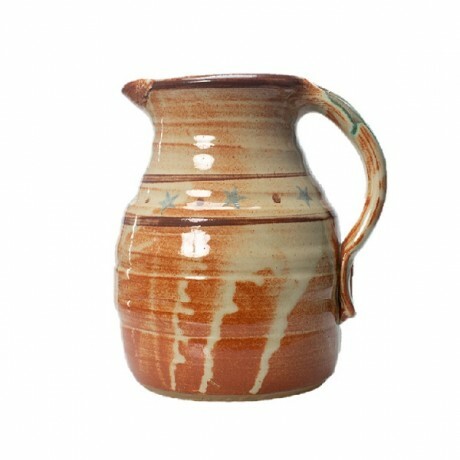 Holds a full ½ gallon for serving. Microwave and dishwasher safe.